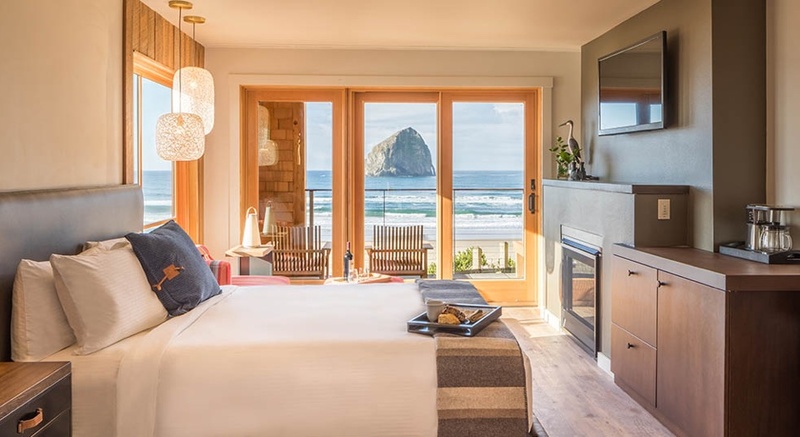 Headlands Coastal Lodge & Spa is a luxury destination that takes full advantage of the Oregon Coast’s rugged natural beauty. A stay at Headlands is a true escape from the hectic day-to-day, a windswept retreat at the edge of the world, for travelers who seek out the undiscovered, unexpected and unpretentious. Here you’ll find countless opportunities to head outdoors for adventure on the water, beach or trails…or stay in to recharge and restore in our warm, stylish lodge. Dory boats, surfing, running, climb the dune (at 240 feet it’s the highest in Oregon), biking, hiking, visit the tide pools, stand up paddleboard, kayaking, beach bonfires, ocean and river fishing, crabbing, bird watching and more! Children of any age are welcome at Headlands at any time of the year.